Lets get down to business. No long story! Random Songs can’t be classified as Hit. Hit songs are Special Kind of songs that will surely hijack the Attention of people anywhere it’s been played. 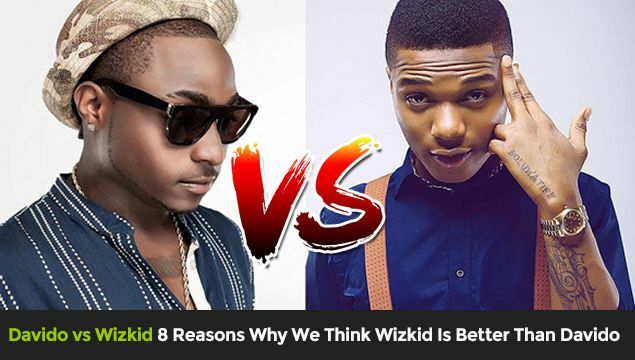 Judging by definition of hits, Wizkid surpasses Davido when it comes to hit songs. Wizkid has loads of hit song with songs like => Ojuelegba, Pakurumo, Azonto, Love my baby, Don’t dull, Show you the Money, Holla at your boy, On top of your Matter, No lele, Tease me, Jaiye Jaiye, In My Bed, Olofofo, Oluwa lo ni, Gidi girl, Slow whine, Wiz party, Shout out, Caro, Eledumare, Daddy Yo, Roll it and many others too numerous to mention tore millions of Charts across Nigeria and Africa at large. And the hits kept flowing since then till date. Wizkid writes most of his songs then adds some freestyle compared to Davido that has some song controversies back then and till date. Davido had issues with many of his Songs. We heard that of Gobe which was originally written by Password and so many other Controversies on most of his hit songs. 3. Wizkid has been able to assemble talented artists to his starboy worldwide record label unlike Davido that started with HKN Gang as a record label. 4. Wizkid has more penetration in the international scene doing collaboration with music icons all over the World. 7. Wizkid’s Debut (Superstar) album is a classic one, which Davido is yet to achieve that. Guys, Do you agree with us?